After speaking around an hour with Senior Editor of The Washington Post Book World Ron Charles about everything from the motivation to write this story to aspects of her own life to an upcoming movie deal, the packed audience got to query the author as well. I found Heller to be down to Earth yet on target when talking about her own characters, many of whom were “unlikeable,” as she always seemed to find something redeeming in them and treated their differences of opinion with respect, no matter her own views. A journalist originally hailing from England with very little “official” creative writing instruction, I nevertheless admired her ability to see past the need for happy endings or unambiguous characters, and deliver us a story that is as rich and real emotionally as it is in its language. I’m sure that anyone from staff to the audience could tell you it was a real treat. 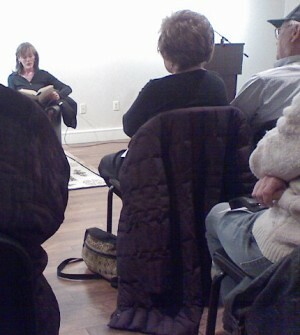 For more information about upcoming litfest events (still eight days left!) click here. Judaism: more than a religion or a culture—now a career! As an editorial assistant at a Jewish non-profit, I shouldn’t be surprised by this. 😛 But more than just an option, the professional Jewish world is stepping up it’s recruitment of young adults, and is taking stock of those who identify as professional Jews. The Insight Fellowship, launched in 2008 to offer twenty-somethings the chance to intern at various Jewish non-profits in New York City and Washington, DC, is reportedly stepping up it’s program. The reason? Because it’s working thus far! The Charles and Lynn Schusterman Family Foundation, a major backer of Insight, is also supporting this survey on Jewish communal professionals. 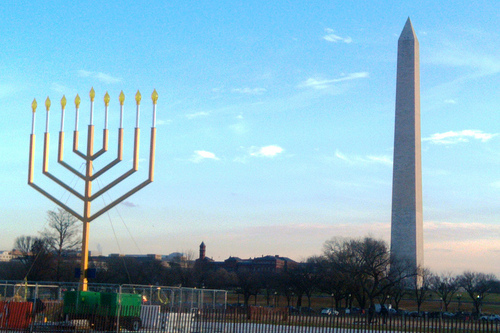 The questions run the gamut from work benefits to religious affiliation and the sponsors, The Jewish Communal Association and The Berman Jewish Policy Archive encourage everyone working at Jewish organizations to partake. Dr. Misha Galperin, executive vice president and CEO of The Washington, DC Jewish Federation, is acting as committee chair to the survey. I signed up for and attended Adas Israel’s sushi and sumo in the sukkah Wednesday night, but barely was the sushi set on the table that I had to leave for Baltimore. So I can’t really tell you what happened at this innovative-sounding event, but in case any participants are reading this, I invite you to share your thoughts in the comments! My main objective was to spend at least a little bit of time during the Sukkot holiday in an actual mandated sukkah, so off I trekked. I was not disappointed in the least. 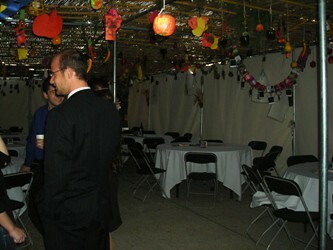 Adas Israel’s sukkah was huge, certainly with enough space to fill a dozen tables. On the walls hung paper chains and Hebrew school renditions of Biblical heroes like Esther and David. The thatched roof danced in the breeze, hanging fruit shimmying playfully like wind chimes. 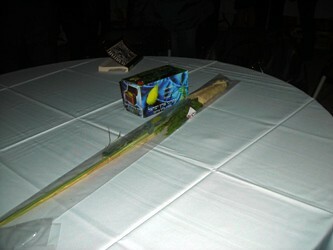 Sukkot ends this Saturday night, with the advent of Simchat Torah. Join YP@AI once again for the three martinis celebration, or find other activities going on in Jewish institutions around town! Chag sameach!